A new study published this week in The Lancet, the world’s leading independent general medical journal, shows that the health and education of Nigeria’s workforce is lagging behind other countries, which will likely stunt the country’s economic growth. The study, conducted by the Institute for Health Metrics and Evaluation (IHME) at the request of the World Bank President, is the first of its kind to measure and compare the strength of countries’ “human capital.” The study underscores that when a country’s human capital score increases, its economy grows. Nigeria’s human capital ranked 171 out of 195 countries in 2016, falling from 155 in 1990. Of the ten most populated countries in the world, Nigeria’s human capital score is the lowest. The country also scored worse than its West African neighbors of Togo (ranked 162), Ghana (155), and Cameroon (148). Gabon was the highest scoring country in sub-Saharan Africa at 118. The health of Nigeria’s workforce has improved slightly since 1990. The study looks at how many years between the ages of 20 and 64 – when people are most active in the workforce – they can expect to live. On average, Nigerians lived 36.1 of those 45 years, while in 1990, Nigerians lived on average 31.2 years. But Nigeria has not improved as quickly as other nations, and it is ranked only 170 in the world in terms of years workers can expect to live. Workers in Togo (ranked 170), Ghana (154), Senegal (147), and the Gambia (146) all lived longer than in Nigeria. Nigerian workers also struggle with sickness and disability. The study’s measure of functional health, which calculates the work impact of ailments like stunting, hearing and vision loss, or infectious diseases like malaria or tuberculosis, ranked Nigeria at 176 in the world. 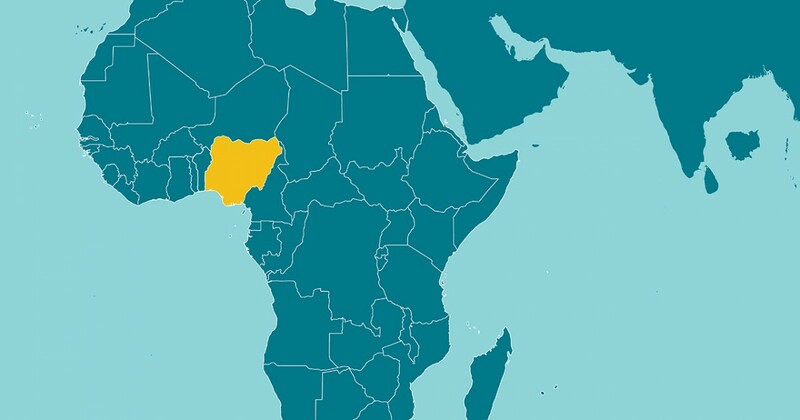 Nigeria ranked lower than many of its West African neighbors but higher than Cote d’Ivoire (ranked #180), the Gambia (181), Mali (ranked 184), Chad (190), Liberia (192), and Niger (193). Nigerian workers are only slightly better educated than in 1990. In 2016, Nigerians spent about 8.6 years in school out of a possible 18 years measured in the study, compared to 7.6 years in 1990. Nigeria fell 37 places in terms of years spent in school; the country ranked 172 in the world in 2016. Workers in the Gambia, Liberia, Togo, Ghana, Namibia, Congo, Gabon, and Equatorial Guinea all spend more time in school than Nigerians. Nigeria’s quality of education is not keeping pace with other countries. Nigeria has fallen 11 places since 1990 in terms of education quality and ranks 154. Many West African countries offer students very low levels of learning. Nigeria ranks better than Togo (ranked 170), Chad (183), Benin (186), Namibia (188), Ghana (192), and last-place Niger (195). “Human capital is also associated with social participation. In the mid-1970s, Nigeria introduced universal primary education, sending a large cohort of children through primary school who otherwise wouldn’t have gone. Years later, those same people were more likely to pay close attention to the news, speak to their peers about politics, attend community meetings, and vote,” the report indicated.